Smartphones and tablets are great but not when it comes to playing music. Fortunately, you no longer have to rely on your smartphone or tablet when you're on the go. With As Seen on TV Boomtouch Speak..
Smartphones and tablets are great but not when it comes to playing music. Fortunately, you no longer have to rely on your smartphone or tablet when you're on the go. 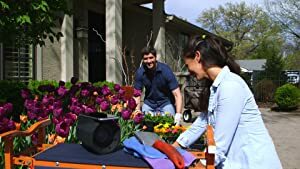 With As Seen on TV Boomtouch Speaker Wireless Portable Speaker System with No Bluetooth Required you can bust out the jams with no special connectors or battery draining Bluetooth. Thanks to revolutionary 'Near Field Audio' technology, these speakers work with Android, iOS, and, well, any music playing device. Place your phone or music player on top to instantly amplify and enjoy clear booming sound! 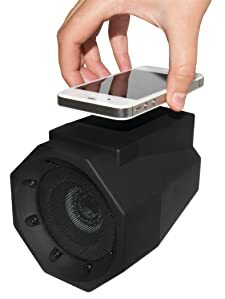 The ability to have a lightweight and portable speaker for anyone to easily play music is a total must at a party, no more worrying about connecting to a speaker! 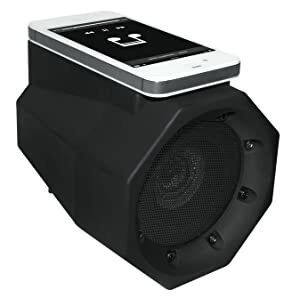 This music playing speaker is so easy to use, just lay your device down to have high quality, clear, crisp sound that will be sure to amaze you & everyone else. No Docks, No Wires, No Bluetooth Required! Smartphones and tablets are great but not when it comes to playing music. Fortunately, you no longer have to rely on your smartphone or tablet when you're on the go. With BoomTouch™ speakers you can bust out the jams with no special connectors or battery draining Bluetooth. Thanks to revolutionary ‘Near Field Audio’ technology, these speakers work with Android, iOS, and, well, any music playing device. Place your phone or music player on top to instantly amplify and enjoy clear booming sound! Easy to Use: Just lay your device down to have Amazing Booming Sound instantly!